Protect what is most important! There are many things to consider when looking at life insurance. This brochure can help get you started. 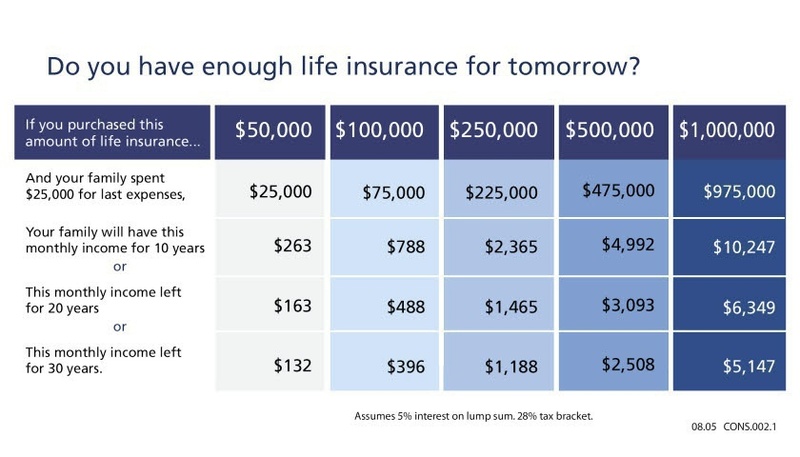 Wondering how much life insurance you need? Use this calculator to find out. The chart below can give you a quick idea of what a policy can provide.